Did you know that Halloween hasn’t always involved trick-or-treating for candy? Actually, Halloween used to be undertaken as The Festival of Samhain, which celebrated the harvest and the Celtic New Year – which started on November 1st. So, how did Halloween turn into an all out candy grab? Well, it started right here in America, believe it or not. Trick-or-treating evolved from an old tradition called “going a-souling” that originated in England and Ireland. “Going a-souling” occurred when children in early 20th century Europe would celebrate the Festival of Samhain by soliciting food door to door. Kids would knock on a neighbor’s door and offer to pray for the souls of their deceased relative in exchange for gifts. They would be handed food, coins, ale and other trinkets in exchange for their kind thoughts. The “souling” tradition made its way to America in the early 1900s, when the United States welcomed a large influx of European immigrants. Trick-or-treating gained popularity in the 1930s and 40s, as cities and towns pushed to emphasize getting to know your neighbor and becoming more communal. However, as Halloween and trick-or-treating became more popular, parents felt unsafe allowing their children to accept unwrapped food from strangers. Some of the most popular homemade treats were cookies, cakes, fruit, popcorn balls and muffins. They argued that the treats could be tampered with and potentially harm their children. Combine this risk with how expensive and time consuming it is to make treats from scratch, and the spooky holiday had a conundrum: high demand without steady, reliable (cheap and quick) supply. During the 1950s, Halloween became incredibly popular and a holiday celebrated nationwide. However, parents were still concerned over what their children were being served. Candy producers saw this as a golden opportunity to satisfy a need with their product. Candy producers created large advertising campaigns promoting the safety of prepackaged candy. They argued that it was safer for children to eat packaged candy, because it couldn’t be altered without visible marks on the wrapper. As the number of trick-or-treaters swelled, it became much cheaper to buy candy and hand it out to the entire neighborhood. Did you know that the average Jack-o-lantern can hold 250 pieces of candy and roughly 9,000 calories? That’s a lot of calories, and it mostly comes from sugar. This is why it’s so important that your children brush their teeth after trick-or-treating. Remind your little ghouls and goblins to brush after they’re done eating candy so that they can prevent cavities and tooth decay. Visit our office if your child begins experiencing sensitive teeth. We will thoroughly evaluate the state of their oral health, and provide a treatment solution that best fits their circumstances. I thought I’d take a break from teeth & talk a little bit about the history of our cherished Thanksgiving Day holiday. However you choose to spend your Thanksgiving holiday, everyone here at Dental South wishes you a safe, happy and healthy holiday with those you love. No one’s tongue is alike. Your tongue is like your fingerprint; no one else has the same exact size, shape or taste bud as your tongue. The tongue is NOT the strongest muscle in your body. The tongue is all muscle, but not just one muscle — it’s made up of 8 different muscles that intertwine with each other creating a flexible matrix, much like an elephant’s trunk. Your tongue muscles do have amazing stamina and are used constantly for eating, talking, and swallowing. The tongue just never seems to get tired! Tongue cleaning can prevent overall health issues. 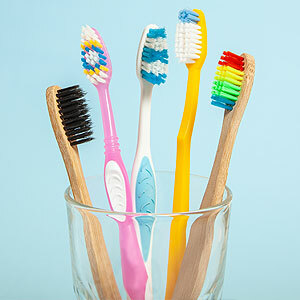 Studies show that those who regularly clean their tongue with a toothbrush or tongue scraper have less heart attacks, pneumonia, premature births and diabetes. Your tongue can get fat! If you gain weight, so does your tongue! The human tongue has a high percentage of fat, and there is a correlation between tongue fat volume and obesity. Your taste buds aren’t just on your tongue; they’re on the roof, cheeks and back of your mouth. More of what we experience as taste is actually smell. You can’t taste what your saliva can’t dissolve: Saliva dissolves the chemicals in food allowing the receptors on your taste buds to detect taste. Without it, obviously, food is tasteless. To see (or taste) for yourself, dry your tongue with a paper towel and attempt to taste dry foods consisting of sugar and salt. It’ll be as if you were devoid of the sense altogether! Taste perception fades with age; we lose almost half of our taste receptors by the time we turn 20! Ageusia is the complete loss of taste. The opposite, hypergeusia, is a heightened sense of taste. Flies and butterflies have taste organs on their feet, so they can taste anything they land on. Catfish have taste organs across their entire bodies. Memories can affect taste! Recalling a positive memory about eating a certain food will make a present experience with it more enjoyable.